Also build a contingency fund equal to 9 to 12 months of expenses, experts tell Sanjay Kumar Singh. Self-employed borrowers have been borrowing more from housing finance companies (HFCs) in recent times due to convenience. But loans to this segment have also been going bad at a faster clip. While the self-employed should take advantage of lenders' willingness to give them housing loans, they should also take precautions to ensure that they don't over-leverage and default. According to Crisil, loans from HFCs to self-employed borrowers have increased to around 30 per cent of their overall home loan portfolio, up from 20% four years ago. Loans to this segment have grown at an annual rate of 33% in the past four years, compared to 20% for the overall home loan segment. But higher lending has also resulted in higher delinquencies. The two-year lagged non-performing asset (NPA) for the self-employed segment stands at 1.8%, three times the level for the salaried segment. The industry classifies home loans into the prime segment, where loans are given to high-quality customers for 8.4% to 9%, and the non-prime segment where rates range from 10% to 15%. A number of HFCs have come into existence in the past two years. Due to higher competition from banks and bigger HFCs in the prime segment, they have chosen to lend aggressively to the non-prime segment. "The borrowing cost of new HFCs is higher, so they are keen to lend to customers who will pay a higher interest rate. This segment consists of small businesses, or larger businesses that do not declare their incomes fully. But the delinquency rate is also higher among such borrowers. That is where the defaults are coming from," says Ashwini Kumar Hooda, deputy managing director, Indiabulls Housing Finance. The salaried class has a steady income stream. A lot of documentation is available -- salary slip, form 16, bank statements, etc -- which makes it easy for lenders to zero in on their exact income, and estimate the level of EMI a person will be able to service, and hence decide on the loan amount. "A self-employed person's income is volatile from one month to the next, making it harder for lenders to figure out the right EMI and loan amount," says Krishnan Sitaraman, senior director, Crisil Ratings. The self-employed category's income is also more susceptible to business cycles. "If a company is going through difficult times, an employee can shift to another. That option is not available to the self-employed, who can only wait for the downturn to end," says Arun Ramamurthy, co-founder, Credit Sudhaar, a firm that helps individuals improve their credit scores. Events like demonetisation and GST implementation hit the self-employed segment harder, causing a spike in delinquencies. The risk of lending to the self-employed is also exacerbated by the fact that people often under-report their incomes while filing tax returns. Says Sitaraman: "The self-employed segment will always have a higher delinquency level than the salaried segment. HFCs compensate for this by charging a higher interest rate." Lenders do more rigorous due diligence when lending to the self-employed. They prefer businesses that are at least 10 years old and have been profitable for the past three-four years, with revenue and profits trending upward. Lenders look at the borrower's recent GST filings to get an idea of recent turnover. They also look at income tax returns and the company's balance sheet and profit and loss statement for the past three-four years. They even visit the borrower's business premises to check out the level of activity. Lenders also look at the borrower's credit score. "700-plus is regarded as a good credit score though some will give a home loan to those at 650 as well," says Parijat Garg, vice-president, Crif Highmark. Lenders also look at the borrower's credit history, which he should have built up by having taken loans and repaying them on time. He should also be a bank customer with running credit lines. "If he has a cash credit facility from a bank for the past three years, that is a positive sign. Such a facility is appraised every year and is renewed only if the customer has made timely repayments," says Hooda. Lenders also look at recent credit enquiries. 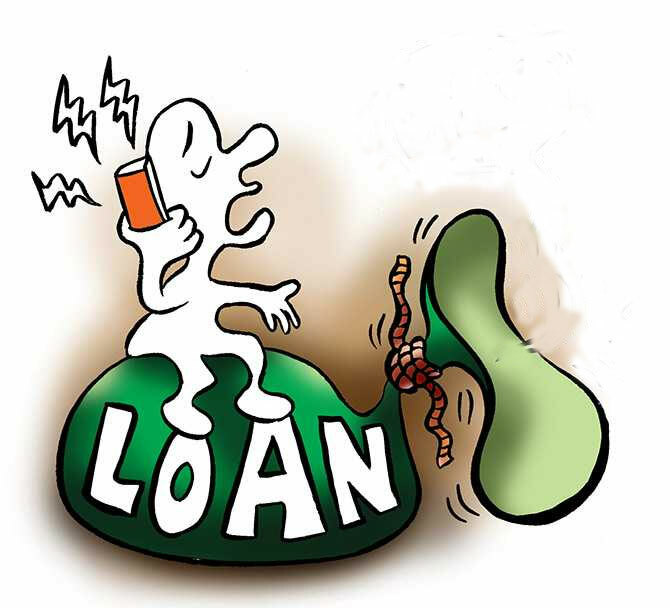 If a person has been looking mostly for unsecured loans, it is taken to be a sign of financial distress. Finally, lenders keep the loan-to-value (LTV) ratio lower for the self-employed category -- not exceeding 70% in their case while going up to 80% in case of the salaried. A self-employed person should not under-report his income when filing his returns. Many self-employed persons do not even bother to file their returns because of the hassle of hiring a chartered accountant and meeting the higher level of compliances required of them. This can have repercussions if they need a loan in the future. Engage a good chartered accountant to file returns accurately and on time every year. "People often exceed their budget when buying a home. All your EMIs together should not exceed 35% f your net earnings. Only in case of those with very high earnings should it go up to 50%," says Amar Pandit, founder, Happynessfactory.in. Pandit suggests building a contingency fund equal to 9 to 12 months of expenses. A self-employed borrower who finds himself unable to pay his EMIs should approach his lender. "Explain your predicament. More often than not, the lender is likely to agree to restructure your loan by reducing the EMI and increasing the tenure," says Garg. If you can't pay even a lower amount, try to take a bridge loan from a family member or some other source, or sell assets like stocks, gold, etc. The final option, according to Pandit, is to sell the house itself. "At all costs, avoid defaulting on your loan as this will affect your credit score and keep you out of the loan market in future," he says.